Ten-Year Veteran	 See an alien? Predator? Gigantic insect? If so, you're far from the first. Ten-Year Veteran	 The closer you get, the more muscular the new Lexus IS appears. 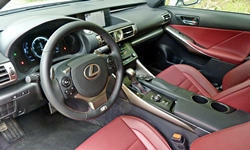 Ten-Year Veteran	 Back away, and the Lexus IS appears more trim and sophisticated. 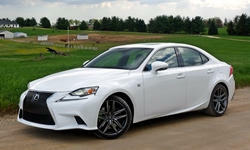 Ten-Year Veteran	 The additional length is most obvious when the new Lexus IS is viewed directly from the side. Ten-Year Veteran	 I especially like how the rocker panel twists up into the tail light. Point echoed in side window. Ten-Year Veteran	 Another angle on that distinctive curve. Ten-Year Veteran	 Note: interior photos are from a different car. I don't know if white/red is an available combo. Ten-Year Veteran	 Anyone else get a 1980s Toyota vibe from this? Definitely not a BMW, and more interesting for it. Ten-Year Veteran	 Everything is close at hand. Note LFA-inspired instruments in default position. 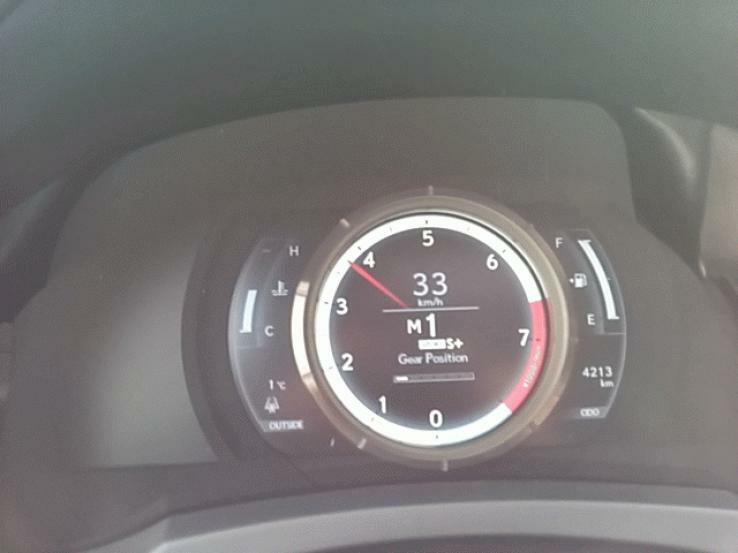 Ten-Year Veteran	 Here the tach has motored to the left to open up more space for the multi-function display. Ten-Year Veteran	 Comfortable yet supportive. If anything too soft. Ten-Year Veteran	 Your adult friends will now fit. Ten-Year Veteran	 Small trunk, but at least the rear seat now folds. Ten-Year Veteran	 Cover on the IS 250's engine is all black rather than black and silver. Ten-Year Veteran	 Which gearhead wouldn't rather look at this?